It was an overflow crowd at the Pasadena City Council meeting Monday night, where protestors expressed their anger at the police beating of Christopher Ballew during a traffic stop. 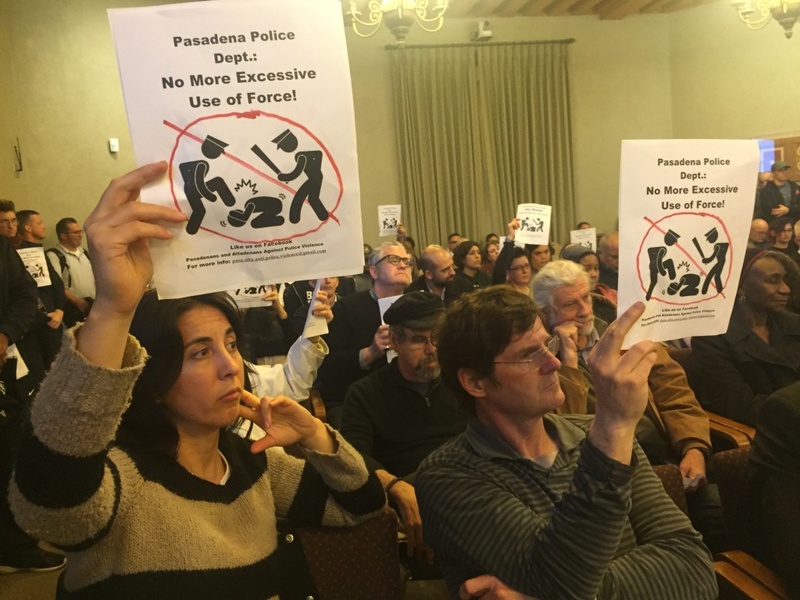 Nearly 200 people packed Monday night's Pasadena city council meeting to express their anger over last fall's police beating of Christopher Ballew, while the police chief asked for patience during his department's investigation of the incident. Virtually all of the more than 50 people who addressed the council felt the officers, Lerry Esparza and Zachary Lujan, used excessive force against Ballew during a Nov. 9 traffic stop that ended with one of Ballew's legs broken. Many called for the two to be fired. After a bystander's video sparked widespread outrage, the city released video from the officers' body cameras that shows Ballew apparently resisting arrest. "The beating of my son has not only left my family hurting but the community is hurting as well," said Ballew's mother Sonya, who said the officers should at least be removed from active duty until the police department completes its investigation. Police Chief Phillip Sanchez said Esparza and Lujan's actions were not egregious enough to warrant pulling them off the streets. He pointed to Ballew's resistance as a cause of the violence. The department has said the two stopped Ballew because of his car’s darkly tinted windows and missing front license plate. Sanchez urged the community to be patient and wait for the results of his investigation, adding that inquiries into use-of-force incidents typically take anywhere from six months to a year. Some of those who addressed the council said Pasadena police generally do a good job, but the actions of the two who beat Ballew were unreasonable. Others claimed that the city's force has become more militarized and disconnected from the community. Many called on the council to create a civilian review panel to monitor the police, as did some civil rights activists, who called the incident another example of racial profiling and excessive use of force against minorities in Pasadena. Ballew, 21, is black. Two of the seven councilmembers spoke out in opposition to the idea of civilian oversight. "I'm not persuaded that we should change the oversight we have now," said Councilman Steve Madison. The council's public safety committee reviews police policies and individual incidents. Madison argued that is a more transparent process, and that accountability is better served by having elected officials rather than residents monitor police. "We are directly accountable to the community that elects us," he said. Madison, a former federal prosecutor who has been on the council for 18 years, is also unconvinced the two officers overreacted. "It's pretty clear to me [Ballew] resisted when they tried to handcuff him," he said. "The question becomes, was the amount of force reasonable?" Councilman Victor Gordo agreed with Madison that there's no need for a civilian watchdog. He also was unwilling to condemn the two officers, saying, "policing is very complicated." Referring to Ballew's resistance, Gordo said, "There are multiple actors in this incident and everyone's actions should be looked at." 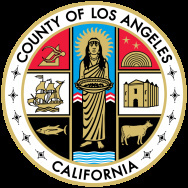 The Los Angeles County District Attorney's office refused to charge Ballew with resisting arrest, citing a lack of evidence. For Councilman Tyron Hampton, it's clear the officers did use excessive force. If the department concludes that the officers were justified in their actions, "then we need to change our police policies," he said. The Ballew family is asking for an apology from the department – something the chief did not do publicly. 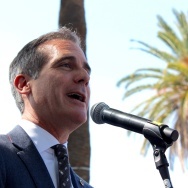 The parents have filed a civil claim against the city – a precursor to a lawsuit. 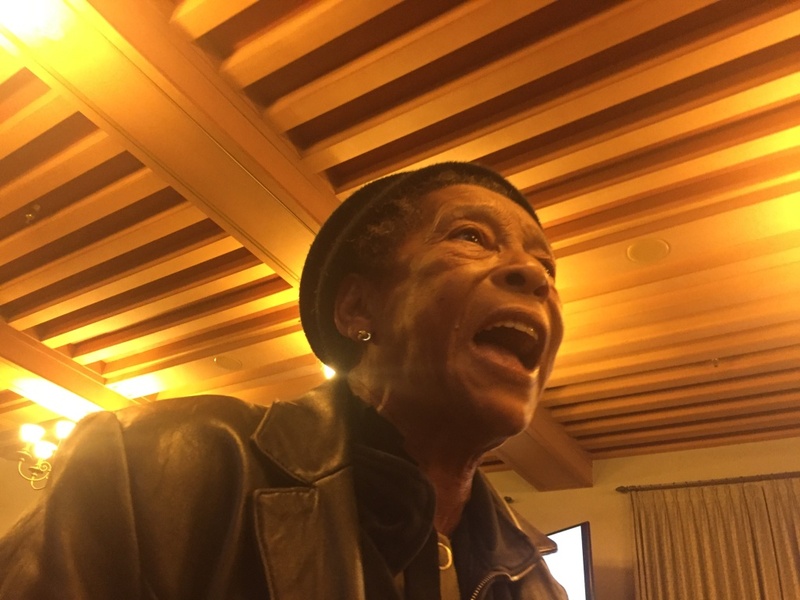 Longtime Pasadena resident Linda Jordan angrily told the city council, "Every last one of ya'll know, you ain't gonna do nothing after tonight." 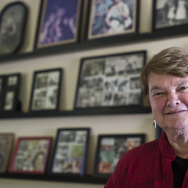 Linda Jordan, who's lived in the city for 40 years, was skeptical the city would take any action at all, much less create a civilian police watchdog panel. "Every last one of ya'll know, you ain't gonna do nothing after tonight," Jordan said, angrily pointing at the council, city manager and police chief.